Unique made-for-brewing dialface guides the brewer through the brewing process. Arrows indicate ideal process temps. 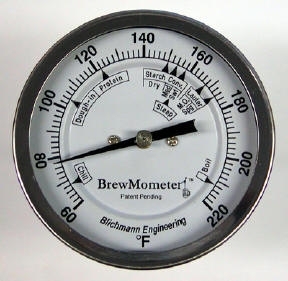 Large graduations and custom temp range make the BrewMometer the most accurate thermometer of it's type on the market. 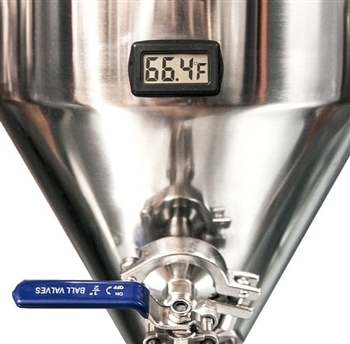 The ThruMometer is the most sanitary way to dial in the EXACT wort temperature from your counterflow chiller to get your fermentation off to a quick, bacteria-free start. No more guessing!! No fittings means no places for bacteria to hide! Shorten your yeast lag-time for cleaner tasting, clearer beer! Made from heat treated highly corrosion resistant aluminum alloy - designed to last a lifetime! This unit features a special dial-face connection that can be rotated to ANY convenient viewing angle (up/down/left/right and anywhere in-between!). No more stooping over or standing on a stool to read the dial of the thermometer! Offered in ½” NPT and our weldless version too! Proof and Tralle Hydrometer - For DISTILLED Spirits - Proof & Tralle Alcoholmeter (14 inch): Proof scale 0-200, Tralle scale 0-100. For distilled spirits only. Not usable for wine or beer or sweetened liquors. 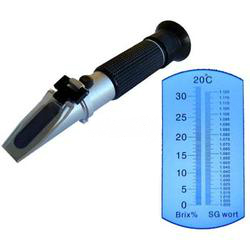 For Beer Making: A refractometer allows you take instant gravities readings at any point during the boil, or even during the run off of the sparge during an all-grain brew. 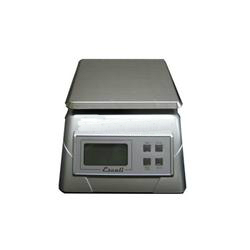 Our unit allows you to measure in Specific Gravity Scale. 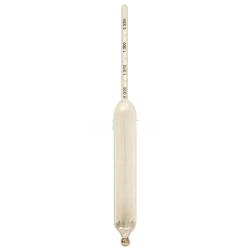 Our basic hydrometer is an essential tool for testing starting and finishing beer gravity, or sugar content, in beer or wine fermentations. 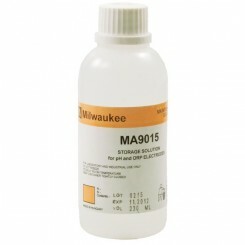 Has three scales - specific gravity, potential alcohol and brix. 9" long. Comes with complete, helpful directions. This bulb style stainless steel sampler for homebrewing and wine making is a great way to easily take samples from fermenters and barrels for analytical testing. 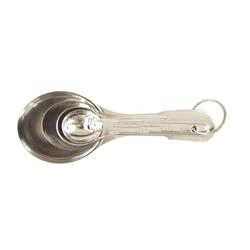 Stainless steel measuring spoon set for measuring such brewing items as water mofidiers, irish moss, lactic acid, yeast nutrient, etc. This set includes four spoons from 1/4 tsp (1ml) to 1 tblsp (15ml). For long term health of your elctrode use pH storage solution. It is a mixture of Potassium Chloride, Postassium Hydrogen Phthalate, Silver Nitrate, and Sodium Hydroxide. These will require you to either wire directly to the units being controller or to build a dual receptacle box for the two inputs. 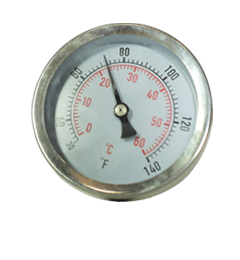 Liquid crystal thermometer which adheres to the side of a carboy, bucket, or even stainless conical to tell you the fermentation temperature. 36-78 F range (Fahrenheit only, not available in Celsius). What we really like about this unit, called The Fermometer, versus generic versions that are slightly cheaper is the more precise scale of 36-78F. We also appreciate the handy suggested Lager and Ale temperature ranges printed right on it. An example of the more precise scale would be that on this unit it easy to tell 1 degree of difference, say between 72 and 73 degrees. The more generic units can sometimes jump 4 degrees. Clips to the side of the kettle to make one of the easiest to use thermoters out there. No more dropping and breaking it when you need it the most. The included plastic tube is intended as a pen-style carrying case, with a pocket clip. 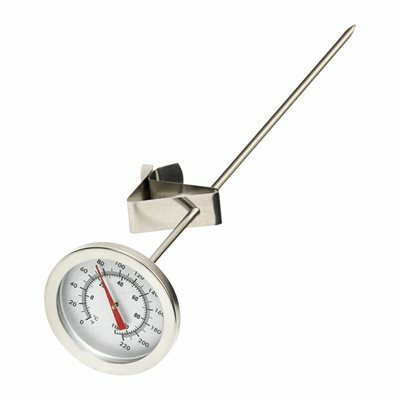 This thermometer has a 1.75" glass face, and can measure temperatures from 0 to 100 degrees celcius. If you are adding to a pot that does not have a 1/2 welded NPT port on it you can purchase a nut and food safe Oring separately. 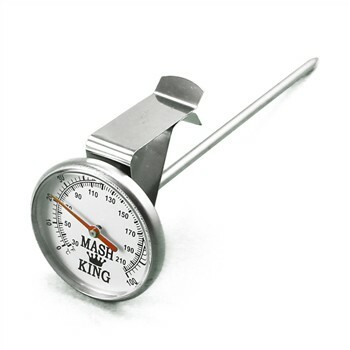 Monitor the mash/boil temperature of your homebrew easily and accurately with our most popular homebrewing dial thermometer. Its large face is easy to read while the 12” probe reaches nicely into your kettle allowing you to check the temperature at multiple depths to avoid stratification. Simply clip onto the side of your brew pot to monitor the boil temperature. Also great for viewing how fast your wort is cooling. A must-have accessory for brew day. 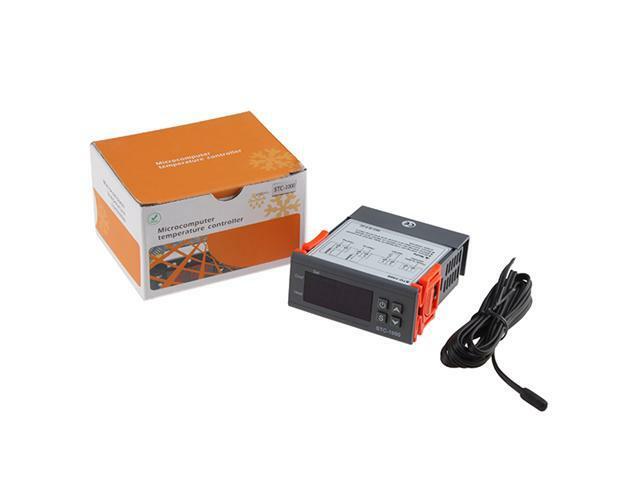 Adjustable Alarm Set Temperature: 140F (60C) Factory Pre-set. 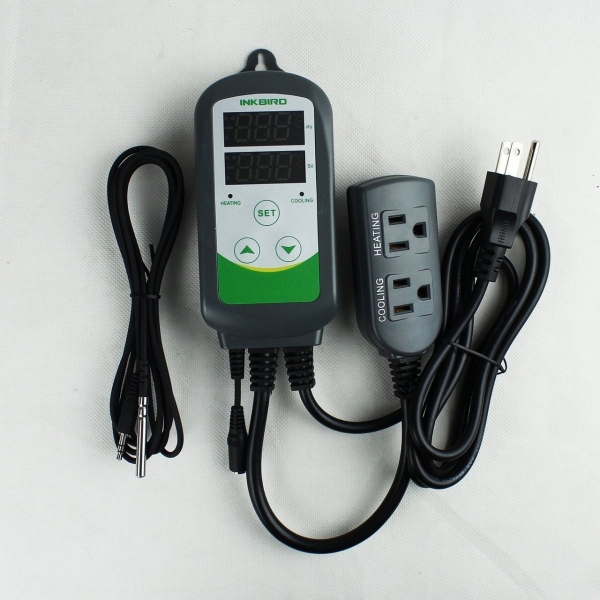 With alarm activated, the LCD will flash when temperature reaches alarm set point. Battery life: 500 hours of continuous use. Low battery indicatior.